NATURE GLASS 0% BPA is the Glass Well-being Line by Chicco. A natural line: from the material, transparent and pure glass, to the green colour of the pack. Glass is entirely a natural material, devoid of Bisphenol A,suitable for babies in the first months of their life thanks to their very own characteristics: transparent, hygienic, and maintain heat longer. 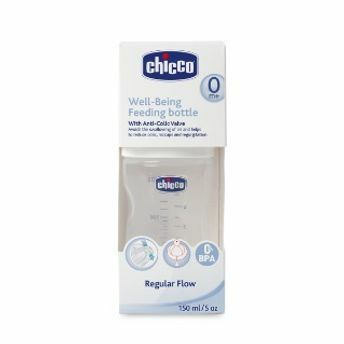 Like all the feeding bottles of the Well-being line, the NATURE GLASS 0% BPA line maintains unaltered the product characteristics that have made this feeding bottle the most suitable for children in the first months of their life.